I have built Moving Mindsets over 16 years with the aim of creating a professional, warm and supportive clinic. I am committed to helping people develop resilience, overcome emotional obstacles and gain deeper understanding of their personality, motivations and purpose in their lives and relationships. 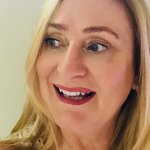 As a psychologist I enjoy using a range of evidence based therapies and psychometric assessments to help focus therapy and treatment and generate greater understanding of complex issues. In my role as a personal development coach I use 15 years of understanding what motivates people, how to tap into what makes you perform, interact and behave to your optimum level. I challenge and support you to grow, learn more about who you are and find the pathway to become authentic and autonomous. I work with individuals, selected couples that fit my therapeutic style, businesses, lawyers, athletes and actors. I have developed tools, therapy books and worksheets to support reaching your goals. I am a nationally registered supervisor and work with provisional psychologists to gain registration and with fully registered psychologist to debrief and develop their skills and knowledge. I have run seminars, workshops and development programs for team building and management skills for local and national organisations as well as writing for out Blog and creating brochures for the clinic. Sarah developed the Moving Mindsets EAP services to help local business support their staff and reduce psychological injury in the workplace. My belief about therapy is that it is a platform to resolve issues, both biologically and environmentally based, using the partnership between client and therapist and the psychological tools and knowledge that best fit the needs of the client. Weekly motivation and discussion sessions and phone support to enhance your objectives, grow and develop in your goals and gain greater and deeper understanding of yourself and how you interact with others. Utilising original resources developed by myself combining all the best tools of motivation and self understanding to be a more authentic self. Individuals wishing to develop higher levels of self awareness and personal relationship skills. SKYPE sessions for international, interstate and travelling clients available by arrangement.